On Aug. 27, one of the strangest targets yet of Russian hacking was revealed, when The Associated Press broke the news that Fancy Bear—the group infamously entangled in the 2016 U.S. presidential election hacks—had also targeted the heart of Eastern Orthodoxy, the Ecumenical Patriarchate of Constantinople. Bearded clerics might seem like an odd choice for a group that usually goes after liberal politicians or Russian dissidents. Unknown to most Westerners, though, a global struggle is playing out within the politics of Eastern Orthodoxy, which commands about 300 million believers worldwide. That struggle pits the Russian state and the Russian Orthodox Church against Constantinople and its apparent support for an independent Ukrainian Orthodox Church. With its claim to 150 million members, the Russian Orthodox Church is by far the largest of the 14 mutually recognized Orthodox churches, and its leadership is highly conscious of the church’s imperial past and the fact that it is the only Orthodox church backed by considerable state power today. Yet the Russian Orthodox Church and the Kremlin still resent the symbolic and moral authority of Constantinople, however diminished its temporal power has been since the end of the Byzantine Empire in 1453. Ecumenical Patriarch Bartholomew is recognized by the other Orthodox churches as having the status of first among equals. Constantinople commands dioceses across the world among the Orthodox diaspora, such as in the United States—but the Phanar, its headquarters, remains tucked in a shabby corner of Istanbul, where it has an often unhappy relationship with the Turkish state. In contrast, Russian Orthodox thinkers have often offered a theological cover to Moscow’s imperial ambitions. In recent years, Russian President Vladimir Putin has embraced aspects of this Christian imperial ideology, demanding that state officials read some of the religious philosophers who came into their own in the twilight days of the Russian Empire. These include Nikolai Berdyaev, a self-described Christian socialist whose ideas tended toward a kind of religious anarchism but who envisaged a messianic role for Russia in the world, and the fascist Ivan Ilyin, two prominent intellectual figures in the first-wave Russian diaspora. Berdyaev and Ilyin despised one another but held a certain common ground on Russian exceptionalism and Christian empire. 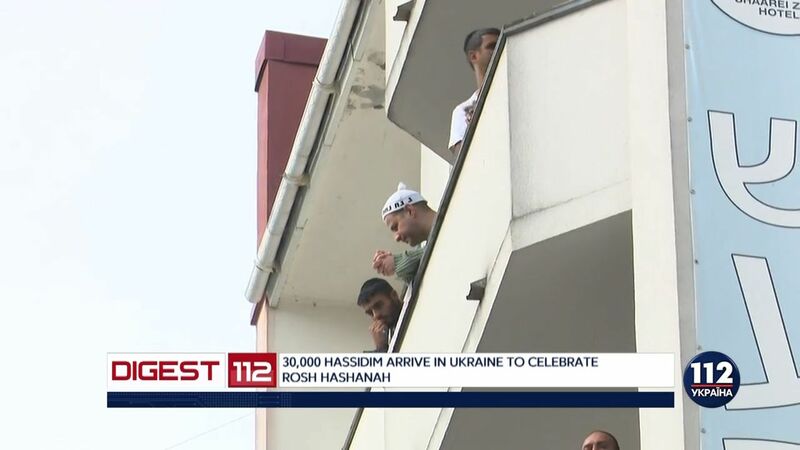 One of the focuses of this renewed Christian imperialist fusion is Ukraine. Members of the Russian intellectual elite like Berdyaev (himself from the Kievan aristocracy) and Ilyin (a Muscovite) have always found Ukrainian national aspirations difficult or impossible to imagine. Today, the future of Ukraine has become inextricably bound up with the political struggles of a reinvigorated Russian Orthodox Church that Moscow mobilizes in pursuit of its foreign-policy goals. Around two-thirds of Ukrainians are Orthodox, but since 1991 believers have been split among three separate bodies. Only one of these, the Ukrainian Orthodox Church of the Moscow Patriarchate, is officially recognized by global Orthodoxy—and it falls under the jurisdiction of the Russian Orthodox Church, providing an important tool of influence for Moscow. The Phanar, however, appears set to deal Russia an important blow in this regard by granting autocephaly, or self-government, to Ukrainian Orthodox Christians, establishing a new canonical Orthodox church in Ukraine outside of the Russian Orthodox Church’s authority. An autocephalous Ukrainian Orthodox Church would be welcomed by most Ukrainians, who are struggling for their national sovereignty in the face of hybrid warfare waged by Russia that has claimed more than 10,000 lives. The Ukrainian parliament and President Petro Poroshenko have directly lobbied Bartholomew, and it is now being reported that the decision to grant Ukrainian autocephaly has already been made. The deal may have been sealed as early as April, when Poroshenko visited Bartholomew in Istanbul. Bartholomew is likely to issue a Tomos of Autocephaly to Ukrainian Orthodox Christians, granting them full independence from the oversight of the Moscow Patriarchate. While the Russian Orthodox Church disputes the canonicity of such a move, it would likely be recognized by the other Orthodox churches and would result in a considerable drop in the number of believers the Russian Orthodox Church is able to credibly claim, which constitutes one basis for Moscow’s pretensions to leadership in the Orthodox world. It would also mean that the Russian Orthodox Church could no longer discipline Ukrainian clergy. Although both churches have been publicly cagey, this must certainly be why Russian Patriarch Kirill met with Bartholomew on Aug. 31, presumably in a bid to stop or delay the Phanar’s recognition of an autocephalous Ukrainian Church or at least to extract some concessions, if at all possible. In doing his part to attempt to quash Ukrainian independence, Kirill was following what has become a sad pattern for the post-Soviet Russian Orthodox Church, which the Russian intellectual Sergei Chapnin called a “Church" of Empire. This represents a return to the Orthodox Church’s historical role, despite some tensions and resistance from within, of functioning as an effective arm of the Russian state in matters both foreign and domestic. Russia’s new championing of so-called traditional values, such as homophobia and opposition to feminism and secularism, has received a powerful boost from the Orthodox Church—and from far-right fellow travelers in the West. (Chapnin himself was fired from his position as managing editor of the Journal of the Moscow Patriarchate for vocally expressing his critical views.) The ties between the Orthodox Church and the Russian state go all the way to the top; both Kirill and his predecessor were at least informants for the KGB during the Soviet era, if not full-blown agents. 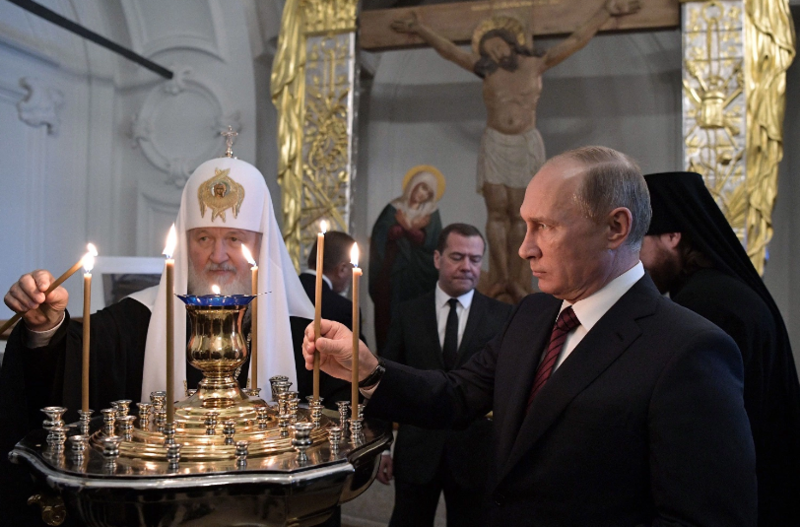 Today, Putin benefits from the backing of the Orthodox Church, an institution that, despite low levels of Russian piety and direct religious participation, enjoys considerable respect among the Russian people. Moscow’s rivalry with the Phanar goes beyond the battle over Ukrainian independence and to the heart of Russia’s historical identity. Nineteenth- and early 20th-century Russians referred to Istanbul (then Constantinople) as “Tsargrad,” meaning “Imperial City” or “City of the Tsar,” and harbored long-standing ambitions of capturing the city from the Ottomans. Tsargrad held important symbolic value for Russians as the historic capital of Byzantium, the medieval Christian empire through which the rulers of Kievan Rus—a loose East Slavic confederation in which the modern nations of Russia, Ukraine, and Belarus locate their origins—adopted Christianity in the 10th century. If Constantinople was the Second Rome, Moscow came to dream of being the third. The vision of Moscow as the Third Rome was famously spelled out by the Orthodox monk Filofei of Pskov in a 1510 letter to Vasili III, the first Russian ruler to adopt the title of tsar. The fall of Constantinople was still within living memory, and the idea that Moscow was its natural successor as the head of the Christian world became deeply appealing to conservative Russians. This religious rhetoric was meant for both domestic and foreign consumption; it evidently made a powerful impression on the former Richard Nixon advisor and prominent paleoconservative Patrick J. Buchanan, who quoted the speech in a paean to Putin. More recently, Putin used the anniversary of the conversion of Kievan Rus, which he called “the starting point for the formation and development of Russian statehood,” to lay claim to the Kievan heritage in a way that clearly signaled disdain for Ukrainian sovereignty to those who know that the East Slavic proto-state’s legacy is disputed between Ukrainian and Russian nationalists. Moscow views the victory for Ukrainian sovereignty that would come with an autocephalous Ukrainian Orthodox Church as a threat to its own power, and this is one episode in a long-standing power struggle between Moscow and Constantinople that was recently on display when Moscow pulled out, at the last minute, of the 2016 Holy and Great Pan-Orthodox Council, into which Constantinople had poured considerable effort in the hopes of working toward greater Orthodox unity. Earlier that same year, Kirill met with Pope Francis in Havana, where the two issued a joint declaration that touched on matters including the Christian revival in Eastern Europe and the issue of marriage, which both insisted must be only between one man and one woman. That Kirill issued this joint declaration with the pope without the involvement of Bartholomew was a subtle undercutting of the Phanar’s authority; in addition, it was certainly meant to cement Russia’s status as a global champion of social conservatism. For its part, the Phanar has a more liberal image, at least by Orthodox standards, and has become known for its ecological initiatives and theological arguments about the necessity of protecting the environment. Moscow is not alone among the Orthodox churches in viewing Bartholomew as too progressive, but Russia may be overplaying its hand. As Chapnin argued for the liberal Russian outlet Snob, Kirill was likely blindsided by many other Orthodox churches’ willingness to support Ukrainian autocephaly. Among other churches, the Patriarchate of Moscow is widely seen as both arrogant and compromised—and, ultimately, they’re far more comfortable with the inherently limited leadership of Constantinople than the state-backed power of Moscow. To be sure, the Kremlin is likely to attempt some kind of retaliation for this blow to Russian prestige, but at the end of the day, both Ukraine and Constantinople will have won an important moral victory.